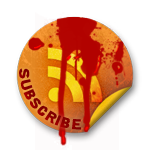 It’s been a full season and then some, since we witnessed Rita’s bloodbath-ending in the Season 4 finale of Dexter, and the subsequent departure of Julie Benz from Dexter. Julie Benz reveals her feelings about being written out of the show and the effect it had on her. JULIE Benz has that rare ability to dissolve completely into a role. One minute she’s playing Rita Bennett, loving mum and the wife of a serial killer in acclaimed drama Dexter, the next she’s barely recognisable as a stripper with a heart of gold in high-gloss soap Desperate Housewives. However, despite her range and impressive list of credits, Julie Benz confesses she’s as insecure about her abilities and future prospects as the next actor. When Benz discovered she was to meet a horrific end in Dexter, she had a meltdown. 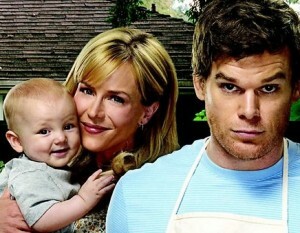 Julie Benz, and the show’s crew, found out she was being axed from Dexter just a week before being handed her final script. “My first reaction to it was, ‘God, I just lost my job, I can’t breathe,” a brutally honest Benz says. “A lot of the crew were crying while they were filming. I wasn’t looking to be taken off the show, I didn’t ask to be taken off, I want to make that clear. The other Dexter-related experience that shook Benz was co-star Michael C. Hall being diagnosed with Hodgkin’s lymphoma. Hall, 39, was diagnosed at the start of last year. But things are looking up for her on the career front. Benz, whose series credits include Buffy, Supernatural and the Steven Spielberg mini-series Taken, recently began filming a regular role alongside Michael Chiklis in action-drama No Ordinary Family, which will premiere soon on Channel 7. Julie Benz and stars including Christopher Lloyd (Back to the Future) will appear at the Brisbane Supanova Expo on April 1-3 and the Melbourne expo on April 8-10. “I’m really looking forward to coming back to say thank you to the fans who have supported me,” Benz says. (Julie Benz) dies in a Bath Tub, I was and still am Pissed. She is a Beautiful Woman, and a Great Actress, that Played her part Perfectly.. The only reason I can think, her part was written out,, was because the writers couldn’t write Good enough to have a Married man with Kids..
You could have had her not be a able to handle it, because he was always gone so they got a separation, but they still Loved each other. He still went there on a regular basis, like he did before they were Married. Writing her out was the biggest Mistake you made in the whole Series. After that, the series was doomed. It sounds like she got a Good Job Offer. I’m Glad for Her.